Are you currently going through a stressful financial situation? Whether it originated from bills, an unexpected expense or something else altogether, you can rest assured that most of us have found ourselves facing similar challenges at one time or another. While it might seem like there’s nowhere to turn to for help, there is a way to use the value of your vehicle to get same-day emergency cash. At Illinois Title Loans, Inc. we could put anywhere up to $4,000 in your pocket today. To get started at any time, all you need to do is fill out our short online request form right here on our website. Soon after completing it, you can expect a call back from a friendly store representative who will go over the process with you and answer any questions you might have. From there, all you need to do is gather the simple required items listed below and head on over to the store location. Once there, a loan specialist will get you started on your paperwork while a quick inspection of your vehicle is performed. After that, in no time at all you could get the cash you need and you leave with your car. All credit is welcome, so get started now by filling out the online form and let Illinois Title Loans, Inc. put the cash you need in your hands today. We proudly serve residents of the greater Chicago metropolitan area, from Mount Prospect to Rolling Meadows, and Des Plaines to Palatine. Regardless of what your credit history looks like, you could get up to $4,000. The fast cash you've been looking for is waiting at Illinois Title Loans, Inc.! 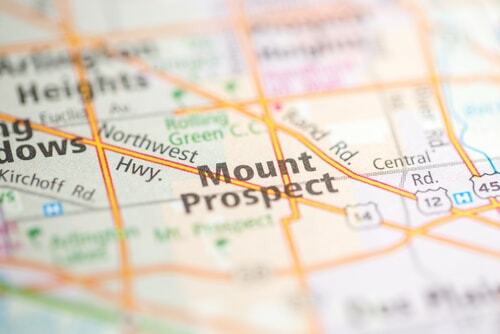 Why Choose Us for Your Mount Prospect Title Loan?